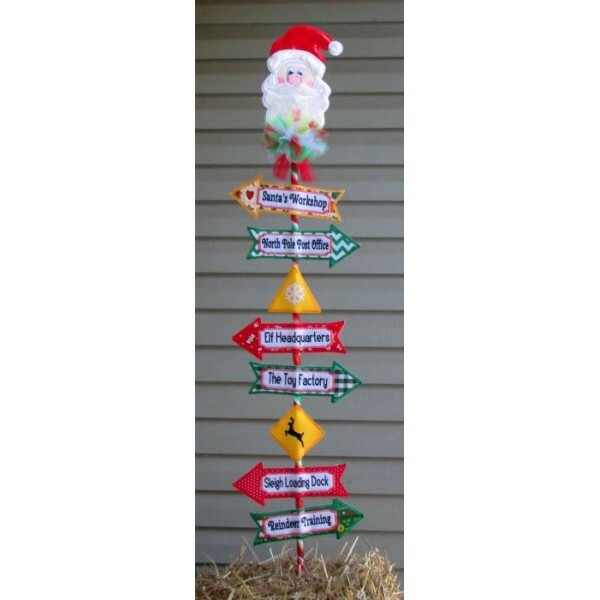 The arrows include the sayings pictured along with the Santa Head Top and the cute Warning Sign Centers. 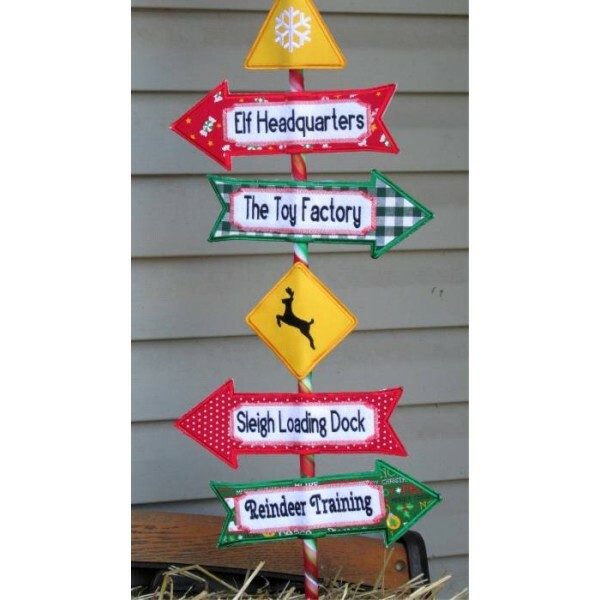 You can use a variety of fabrics to create your own color schemes. 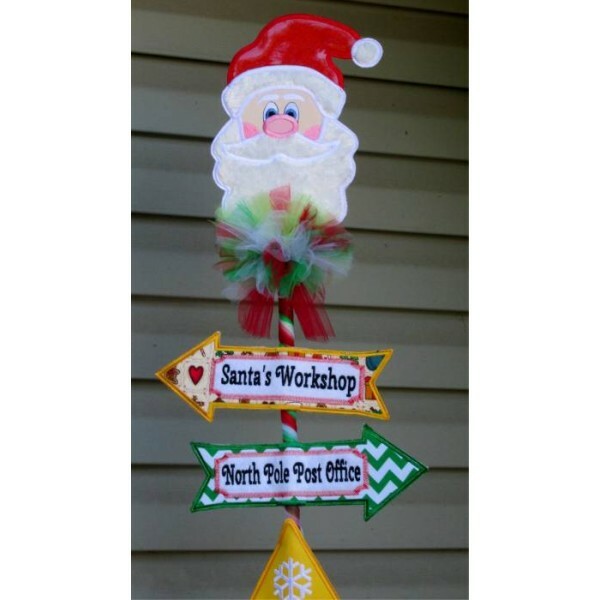 In Hoop Santa Workshop Yard Sign! 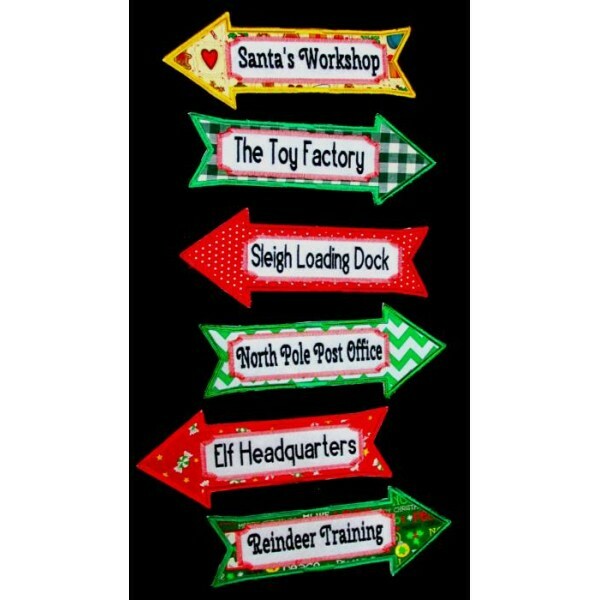 You have plenty of time to get this ready for Christmas! 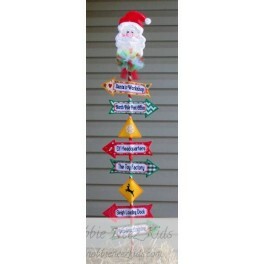 The arrows include the sayings pictured along with the Santa Head Top and the cute Warning Sign Centers. You can use a variety of fabrics to create your own color schemes.